If you shoot a lot of .308 Winchester, you may be feeling holes in your wallet as well as your target! 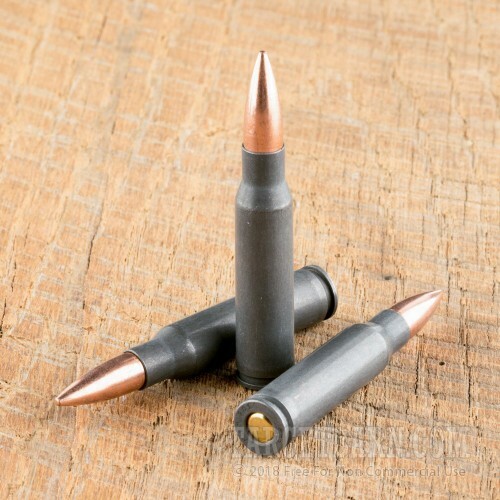 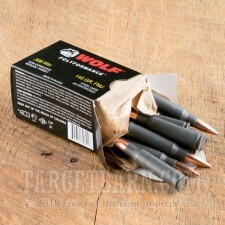 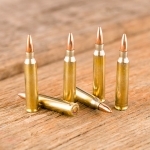 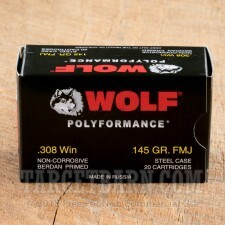 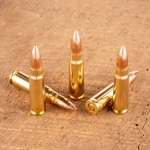 Save some serious money with this 500-round case of bulk priced .308 ammunition from Wolf. 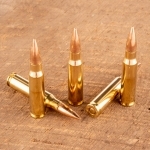 Each round in this case of 500 fires a 145 grain full metal jacket bullet at a muzzle velocity of 2,750 feet per second. 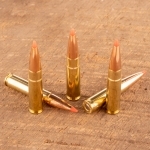 This results in ballistics very similar to those of M80 ball and good long-range accuracy. 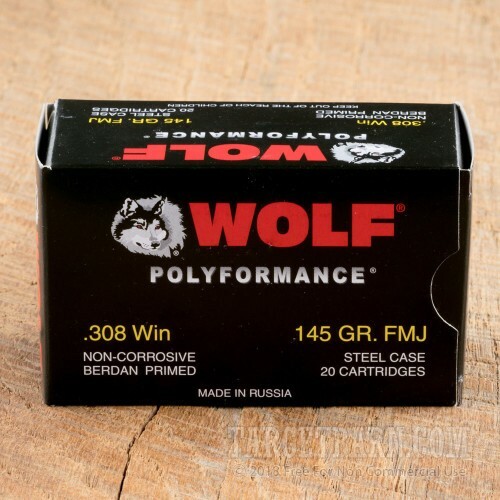 This ammo is imported from Russia and uses non-corrosive primers and non-reloadable polymer-coated steel cases.